I've been crushing on Darn Good Yarn for a long time. They sell unique yarns and fabric ribbon that are truly inspiring and fun to work with. I love that in addition to producing something beautiful, Darn Good Yarn creates jobs in developing countries, as well as, providing work for the developmentally disabled in the U.S., all while saving tons of waste from going to landfills. To get an impression of the positive impact they are making you should check out their video, here. So when they contacted me about making a tutorial, I was super excited. 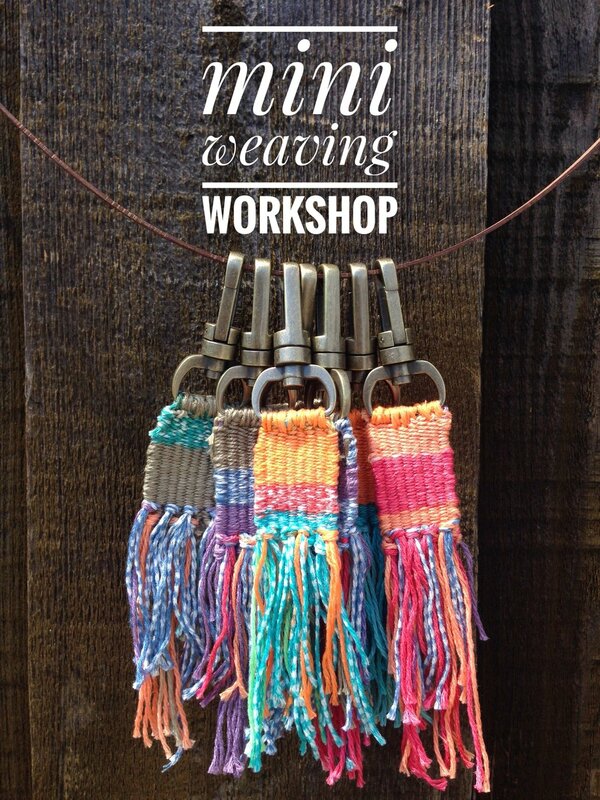 This keychain pattern was fun to create, but most of all I am proud to be contributing to this awesome ethical yarn shop. Aaaaaaaaaaand, if you use the code thenourishbowl15, you'll save 15% off your yarn purchase! Head over to their silks section for some pretty eye candy! Feeling the Santa Cruz love and maker vibes this holiday season. There are so many craft markets going on. It’s a great opportunity to finally meet and support the artists you’ve been crushing on. After going to the lighted boat parade, I’ll be heading over to The Abbey for the Holiday Art Bazaar opening night. Just really looking forward to taking a break, seeing friends and listening to Blue Summit for awhile. And then next Saturday is the Midtown Craft Crawl. Super psyched for this. I stopped by Amoureuse yesterday and met the sweet owner. I’ll be there from 12-6 with the fabulous Isabella from Last Meridian. Scroll down and check out all the cool artists who will be there! November is a time to gather, share, take care of oneself and others + celebrate gratitude and I wish you many opportunities to do all of these. 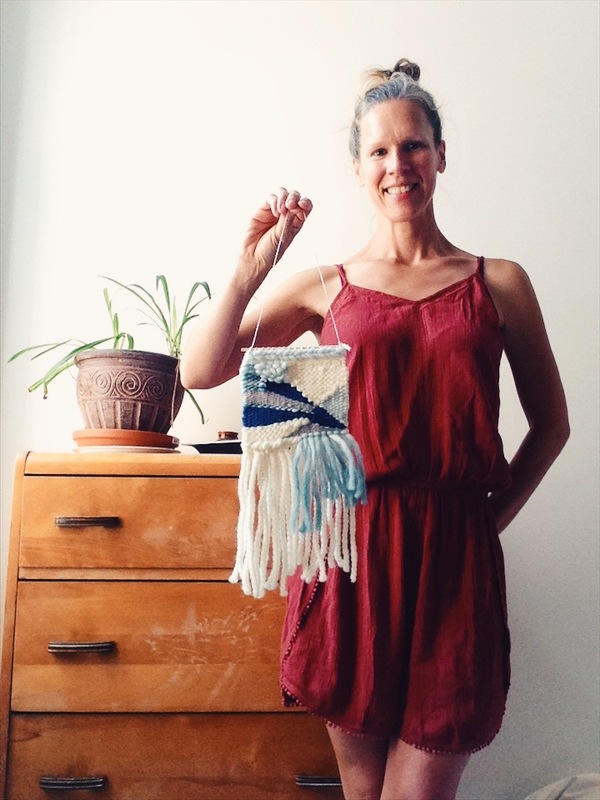 Mini Weaving at Wallflower Boutique: make your friends and family some mini weavings to let them know you love them. Embroidery Workshop at Wallflower Boutique: another new hobby, craft obsession, fun gift to give. Like to drink wine and shop for the holidays? Come check out Sip & Shop at An Epicurious Lifestyle! Grab your tickets here. Like to drink coffee and shop? My weavings will be at The Abbey Lounge from November 20, 2017-January 4, 2018! Hello hello! The fall is a time when we *should* start slowing down but it doesn't really happen because this month is the one last chance to catch your breath before the holiday season starts its swing. And well, I'm already feeling the pressure of Halloween because here in Santa Cruz, Halloween is huge. There are so many brilliantly creative and crafty folks making awesome costumes that you kinda get swept up in it.... although the super busy part of me is wondering "couldn't I just go to Target...." But I can't. At least my daughter has opted out of being an otter and decided to be Starfire from Teen Titans, and I think that will be easier? Here's what's going on in October and a recap of September, where did that month go? Meet me at Makery Mill Valley! I am super excited to be heading up to magical Mill Valley on October 14 to teach a weaving workshop at the Makery Mill Valley. Check out all the lovely classes they have going on. Jane is doing an amazing job creating a welcoming and inspiring space for people to come and make beautiful things. I totally relate to her about page too. And I cannot wait to team up with über talented stylist Laura Cook for a styling and mobile photography workshop at Home/Work on October 29th! I've been wanting to do this forever but had to wait until everything was right. And now I am so psyched to bring this passion out to share. Check out the details here! There may be a few more workshops that pop up at Wallflower Boutique in October, if you want to stay in the loop follow me on IG ! I want to thank all the wonderful people who attended my workshops and made new friends and awesome crafts. And a huge thanks to the shops that allow me to share my love of making with others, couldn't do it with out you! Thanks Wallflower Boutique and annieglass! I'm getting curious about Tarot cards! I bought this beautiful deck from LulaMae and am diving in. The first card I pulled is The Empress who, according to the handy app that comes with the deck, is pure love and creation. How awesome is that? And still enjoying late summer harvests--especially the juicy sweet tomatoes and delicate + randomly spicy padrón peppers, pan seared and served with salt. Perfect with a beer on these 80 degree days. Stay well and thanks for reading!